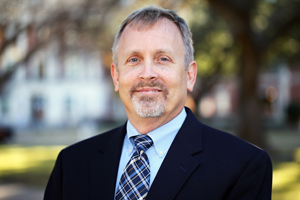 Doug has worked as adjunct faculty for the Diana R. Garland School of Social since 2001 and joined Baylor full-time as the Texas Hunger Initiative Director of Programs in 2012. Prior to that, he served as the CEO of Communities In Schools of the Heart of Texas. Doug was a member of the inaugural class of Robert H.B. Baldwin Fellows, an initiative of the national office of Communities In Schools. This fellowship consisted of research and writing on the role of parent involvement in education. His direct social work practice also includes addressing substandard housing in Appalachia, homelessness in Harlem, and mental health in Northern Arizona Native American communities. Doug serves on the boards of Parents for Public Schools, Texans Care for Children, and McLennan Community College. Doug is married to Dr. Robin McDurham and they have two sons, Dakota (1994) and Zane (1998).